Sentai Filmworks announced earlier that they would be licensing Rakudai Kishi no Cavalry (Chivalry of a Failed Knight) for distribution in North America. They plan to release to series both digitally and on home video. Now we have more details on how they will release the series digitally. Starting on October 3, Sentai Filmworks will begin streaming Rakudai Kishi no Cavalry on Hulu. The newest episodes of the series will be available exclusively on Hulu for premium members for the first week the episode is streamed. The following week, the episode will be available for free users. This is similar in how Crunchyroll streams their newer series as usually only a Crunchyroll Premium member may view a series’ newest episode at first while free users must wait for the following week in order to watch it. The Rakudai Kishi no Cavalry TV anime is slated to premiere in Japan on October 4. The series is set to run for 12 episodes and will air in Japan on Tokyo MX, AT-X and other stations. You can see a synopsis of the series below (from ANN) as well as its latest PV. 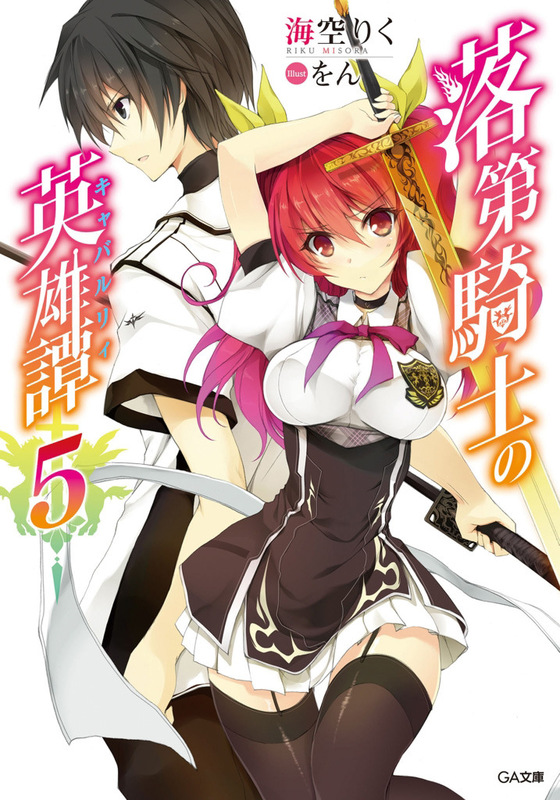 Rakudai Kishi no Cavalry is a light novel series authored by Riku Misora and illustrated by Won. It is published by SB Creative under their GA Bunko imprint. It was first published in July 2013 and currently has 7 volumes released. The anime adaptation will be produced by SILVER LINK in collaboration with Nexus and is directed by Shin Onuma and Jin Tamamura. The anime is set to premiere on October 4 in Japan. If you are interested in the anime at all please check out its official website here.